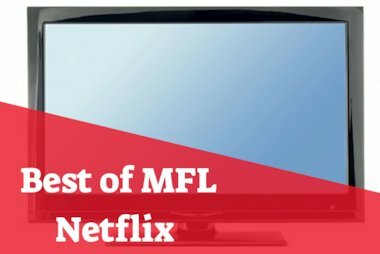 The world is full of weird and wonderful traditions for the festive season – we’ve listed just a few of our favourites here. On the 6th of December, France celebrates St Nicholas’ Day. Children will leave their shoes out overnight, and in the morning check to see whether they’ve been filled with sweets for good behaviour, or twigs for bad behaviour! Many places also have parades for la fête de Saint Nicolas, with decorated floats showing the arrival of Saint Nicolas and his evil companion le Père Fouettard. In certain areas of France, the traditional Christmas dinner involves thirteen – yes, thirteen – desserts! And that’s after the huge main meal! 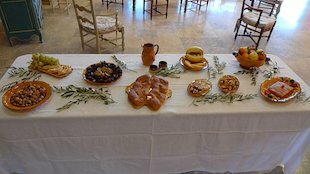 The desserts represent Christ and the 12 apostles at the Last Supper, and usually include fruits, nuts and sweets such as dried figs, hazelnuts or walnuts, almonds and dried grapes or a cake called Pompe à l’huile. Everyone must have some of every dessert for good luck! St Nicholas’ Day is also celebrated in Germany. Children write to Father Christmas (Weihnachtsmann), hoping that he will bring them gifts. Just like in France, children leave their shoes out overnight and St Nicholas fills them with sweets and chocolate. In Bavaria in southern Germany, there is an evil character called “Knecht Ruprecht” or “Krampus” who accompanies Nikolaus (St. Nicholas) on the 6th of December to punish bad children. 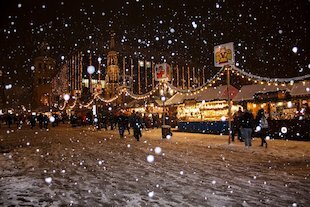 Many countries have Christmas markets, but they started in Germany – the Striezelmarkt in Dresden first happened in 1434! Some of the biggest Christmas markets, or ‘Weihnachtsmarkt’, include traditional characters and parades. For the Christkindlesmarkt in Nuremberg, a local girl is chosen every year to play the Christkind, the Christmas Angel. She wears a white and gold dress and has a gold crown, and attends many charity events and reads to the children in the market. Families in Catalonia will keep a special Christmas log (El Tió de Nadal) in the house throughout December. They paint a face on the log and cover it with a blanket, like it’s their pet! 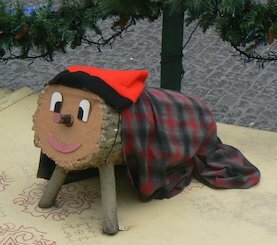 On Christmas Day, children hit El Tió de Nadal with a stick to make presents fall out from underneath (when the children aren’t looking, grown-ups place the gifts under the cover!) Children keep singing songs and hitting the log to have more goodies. 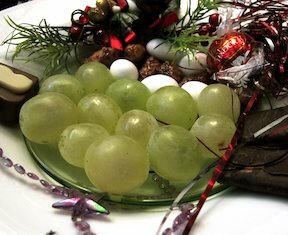 It is traditional to eat twelve grapes at midnight on New Year’s Eve – one grape for each stroke of the clock and for each month of the year to come for twelve months of luck. The grapes are known as the lucky grapes (las uvas de la suerte) or the twelve grapes (las doce uvas). 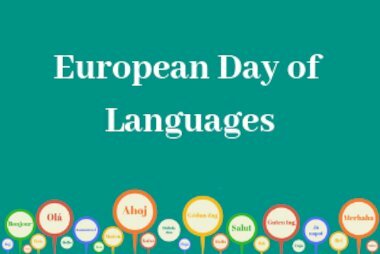 ‘Día de las Velitas’ translates roughly as ‘Little Candle Day’. It is held on the 7th of December every year, the night before the celebrations for La Inmaculada, and is the unofficial start of the Christmas season in Colombia. 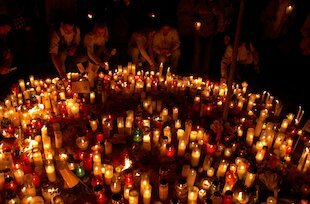 People put candles everywhere, along the streets, in their windows, around their doors, until the whole town is lit by candles. Some towns compete to see who can create the most impressive display, similar to Christmas lights on houses in the UK and USA. 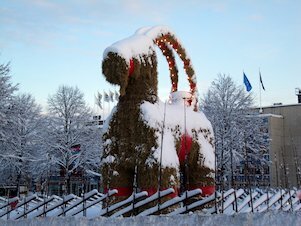 Every year in the city of Gävle in Sweden, a giant goat made of straw is put up in the central square. It is a giant version of the traditional Swedish Yule Goat, and is supposed to stand in the square for all of December. However, it has become famous for people’s attempts to burn it down or destroy it every year! Since 1966, the goat has only survived 12 times! On Christmas Eve in Iceland, it is traditional to exchange books with your loved ones. 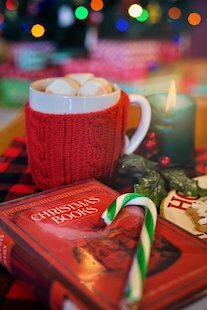 Everyone then spends the whole evening reading the books and drinking hot chocolate! This ‘Christmas Book Flood’ is so popular that a catalogue is sent to every house in Iceland in November so that people can order the books to give to their families and friends. 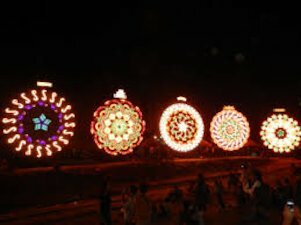 On the Saturday before Christmas Eve in the Philippines, 11 villages from around the city of San Fernando compete to create the most impressive lantern in the Giant Lantern Festival. People from all around the world go to San Fernando to see these amazing giant lanterns being lit. 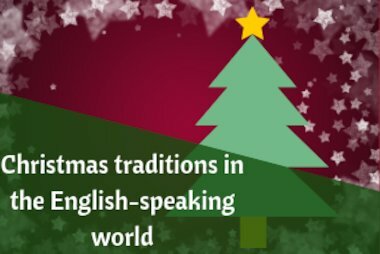 Do your students know of any other Christmas customs from around the world?